A sign sits on the Grand Lake Road in Sydney, advertising a ~24 acre commercial property for sale. That sign sits at the base of another sign, this one with a Cape Breton Miners Memorial Speedway logo on it. After announcing they purchased the track in January 2014, owners Bill and Lynne Vasil have put the track and the property it sits on up for sale. The Vasils, who call the Antigonish area home, own three businesses on the mainland of Nova Scotia and combined with the time it takes to devote to running a successful racing facility, the decision was made to put the facility up for sale. The story rings similar to Jason Carnahan when he put Speedway Miramichi up for sale in 2015. 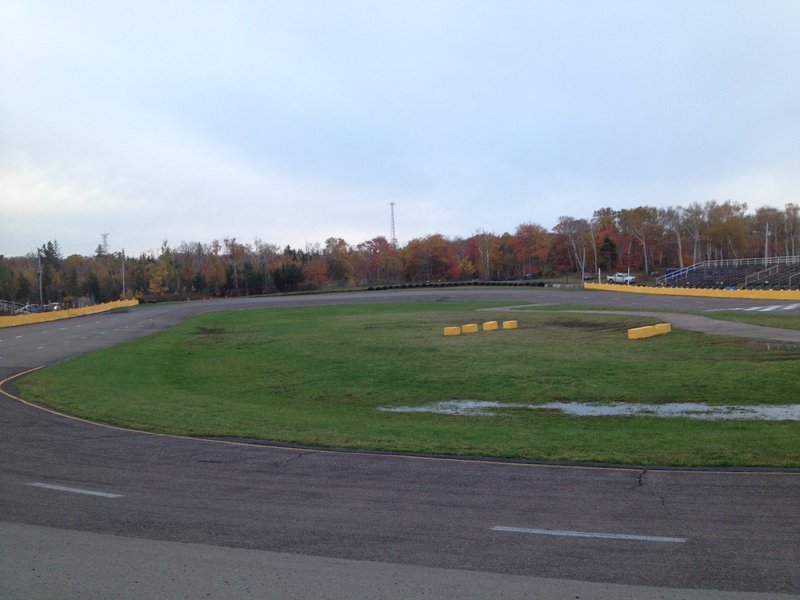 With business interests in the Moncton area, the tough decision was made to put the track up for sale. After all, food needs to be kept on the table at the end of the day. The couple will continue their involvement with the NAPA Sportsman Series at Riverside International Speedway, which is located in James River and a stone’s throw from Antigonish. Cape Breton Miners Memorial Speedway opened in 1976 and had sat quiet from the end of the 2010 season until the Vasils purchased the facility, which required many upgrades to accommodate a racing program on and off the track. The track officially re-opened on July 26th, 2014 The NAPA Sportsman Series, along with Street Stock and Mini Stock racing have been the staple house divisions in the past three seasons of operation. If there is an on track legacy left by the Vasils, it may have been the Mini Stock product built in Cape Breton. In the first two seasons, Mini Stock drivers hauled from as far as the Halifax and Moncton areas to compete on the tight bullring. It wasn’t uncommon to see car counts of over two dozen Four Cylinder competitors hit the track during a race. There was even a big money Mini Stock race, which saw Kennetcook, Nova Scotia’s Dave Matthews take home upwards of $800 for his effort in the 100-lap show in October 2015. Even with the elimination of tow money for the Mini Stock class in 2016, car counts remained strong compared to other tracks in the region and those cars were rewarded with 100-lap features. At the end of the 2015 season and into the 2016 campaign, the track had seen a re-birth of the Street Stock class with numbers in the double digits for car count in the past season. Chris Reid and Shawn Waterfield chat after the 2014 NAPA Sportsman Series finale at Cape Breton Miners Memorial Speedway. 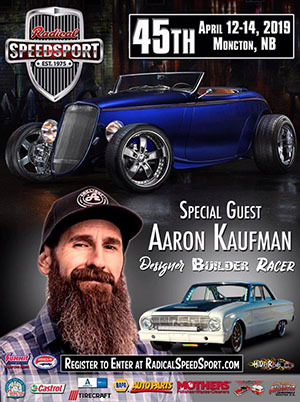 Reid won the championship in 2015, his brother Kyle won the series in 2015 and Shawn Waterfield is the current champion after winning the top prize on October 23rd. Four events were run in the 2014 season, with six contested in 2015. Rain hampered a six race schedule in 2016, which was shortened to five following a wet October. The most recent event held at Cape Breton Miners Memorial Speedway on October 23rd saw incredible racing throughout all three classes, including a instant classic in the NAPA Sportsman Series which saw some excellent side by side racing throughout the field as Shawn Waterfield drove to clinch his first tour title. Mike MacLeod clinched his second Street Stock title at the track and will go down as the only multi-time champion in the Vasil’s three years of owning the facility. Kody Quinn drove from 14th to the front in 75 laps in the Mini Stock 100 but the only caution on Lap 82 would let Josh Benac capitalize to eventually edge out Quinn for the race victory. Quinn would hold on for the championship, his first in three years of racing. We’ll have more as the story develops. Those interested in purchasing the property can call (902) 971-0416 or contact either Bill or Lynne Vasil.